So finally Geekvape introduce the dual-cell verion of Aegis, named Aegis Legend, which inherits the original’s three proofing properties (waterproof, shockproof, and dustproof) but comes with some great improvements. It uses brand new AS chipset that is more stable and supports a max output power of 200W with two 18650 batteries, ensuring a longer vaping time. Compared to the first version, the Geekvape Aegis Legend adopts a press latch style battery door instead of the previous threading cap, which make battery replacement more convenient. And the screen of the Aegis Legend is more durable than the first version, it won’t come off even drop from a super high height. Moreover, it supports direct charging and firmware update. Geekvape also pair a Aero Mesh tank with this Aegis Legend mod, which is typical top-filling and bottom airflow tank with 25mm diameter and 4ml ejuice capacity. It uses the unique 0.2ohm mech coil, aiming to offer you the best flavor and massive cloud with the Legend MOD. If you missed the Aegis, now it’s good time to grab Aegis Legend! Here comes the new round of our flash sale. Product list as below. Ends at 23:59PM on April 13,2018. 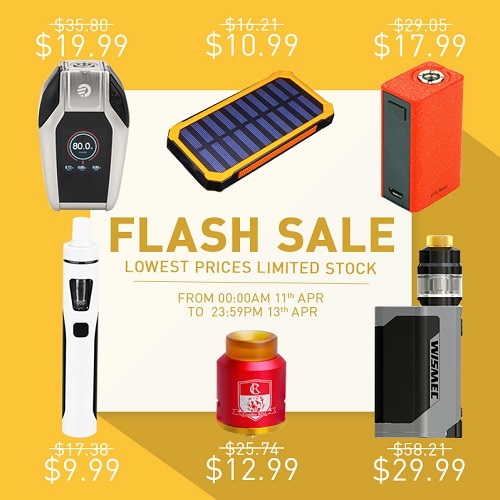 Next round of flash sale will start from 00:00AM April 14 to 23:59PM April 16. Check the product list in advance. 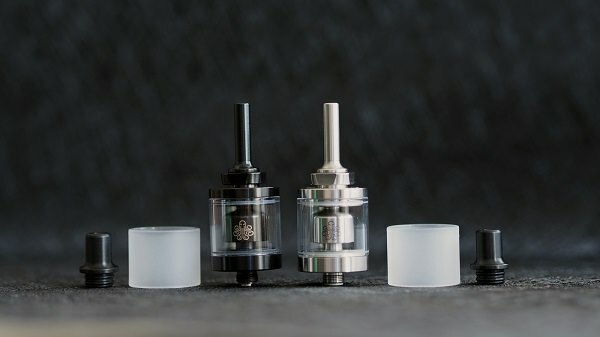 Just after releasing the much-anticipated dual cell Aegis, Geekvape don’t stop and introduce a new rebuildable tank - Zeus Dual, which is an upgraded dual coil version of the original Zeus RTA. With a 26mm diameter, the Zeus Dual RTA ensures you enough space to build dual/single coils on the upgraded postless build deck without any hassle. It also adopts top refill top airflow system, which allows for convenient and leakproof juice filling as well as maintioning great flavor. It holds up to 4ml of juice but can also be extended to 5.5ml by replacing a bubble glass (not included). Both 510 and 810 drip tip are usable on this Zeus Dual RTA. 4 nice colors available. Given the good performance of Geekvape’s most RTAs, this Zeus Dual RTA might impress you as well. Here comes a new addition to Joyetech’s ProCore tank series - the ProCore Conquer, which is a well-crafted and stylish sub ohm tank with 25mm diameter. It features the new bulging glass tube that can hold up to 5.5ml of e-liquid and colorful resin drip tip. Moreover, Joyetech also provide various spare resin and cellular tube versions for your choice, which adds more color to this ProCore Conquer tank. With push-to-open top filling design, it allows you to refill juice conveniently. The Joyetech ProCore Conquer is compatible with all ProC series heads that cover both DL and MTL vapers. In this package, only 0.4ohm ProCA and 0.15ohm ProCD coils are included. Together with the huge adjustable bottom airflow slots, the new 0.15ohm ProCD head will deliver massive vapor clouds as well as nice flavor. Paired with the new ESPION Infinite Mod, it will bring amazing vaping experience. Here comes the new round of our flash sale. Product list as below. Ends at 23:59PM on April 19,2018. 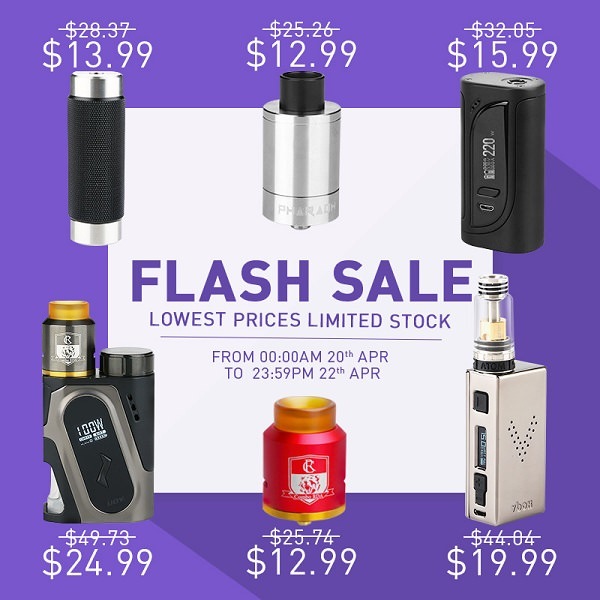 Next round of flash sale will start from 00:00AM April 20 to 23:59PM April 22. Check the product list in advance. Cthulhu released a mini version of Hastur MTL RTA, which is a classic and simple atty designed by Brian N, targeting at mouth to lung vapers. It features a 2ml e-liquid capacity and 22mm diameter, supporting single coil RTA building. The Cthulhu Hastur MTL RTA Mini comes with two small air holes on building deck to improve flavor and thread-less refiling top cap to reduce positive pressure for easy refilling. Moreover, there are 3 different sizes of air holes on the air flow control ring of this mini Hastur MTL RTA, allowing for different vapor adjustment. Two 510 drip tips available, a slim steel tip and a normal delrin tip. Plus food grade 304 ss build material, this Hastur MTL RTA Mini is no doubt a well-made flavor monster you are looking for! Free shipping for each order over US$20. 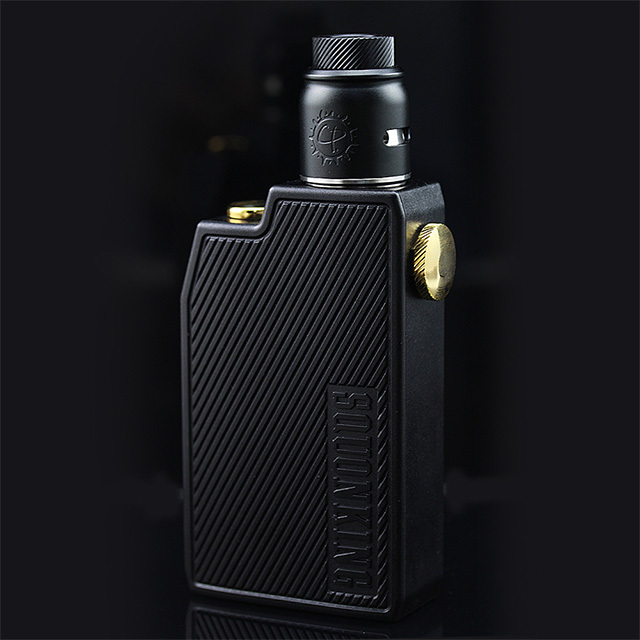 Aspire finnally release their very first squonk kit - the Feedlink Revvo, which is composed of the all now Aspire Feedlink squonk mod and the redesigned Revvo Boost tank. Featuring the “pistol grip” design, the Feedlink is pretty ergonomic in the hand and comfortable to operate. 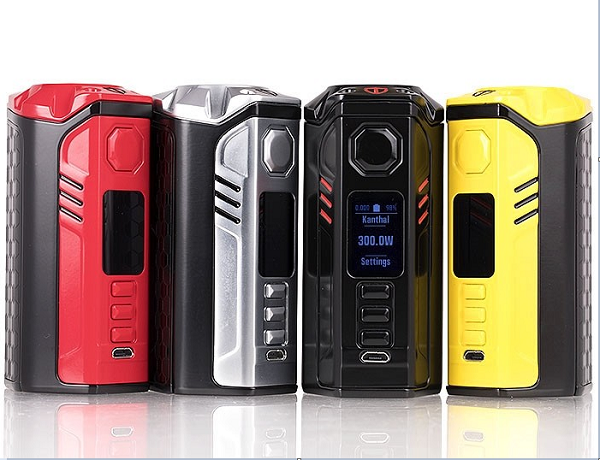 It runs on one 18650 battery and supports multiple protections you can expect from a quality box mod. The Feedlink comes with a 7ml food-grade silicone squeeze bottle that will last you for a longer time and also is easy to refill juice. Included in this squonk kit is the bottom feeding Revvo Boost tank, which is 24mm in diameter and 2ml in tank capacity. It uses the revolutionary ARC coil that will deliver great flavor and vapor production together with the large adjustable top airflow slots. All in all, this Aspire Feedlink Revvo Squonk Kit will bring you a pleasant squonking experience. Here comes the new round of our flash sale. Product list as below. Ends at 23:59PM on April 22,2018. 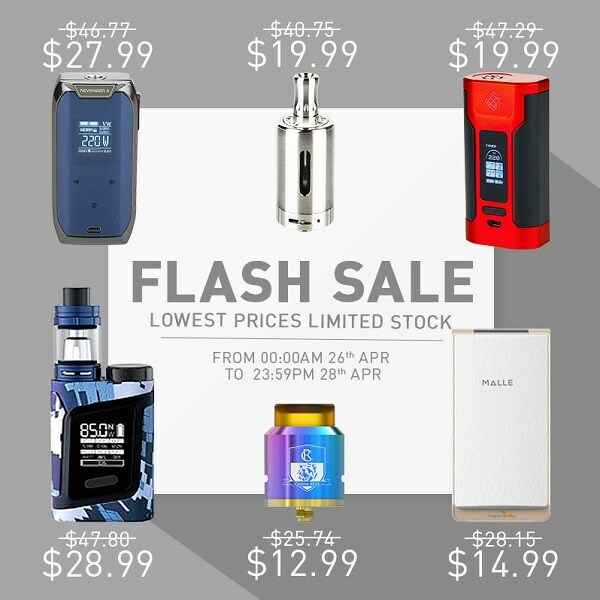 Next round of flash sale will start from 00:00AM April 23 to 23:59PM April 25. Check the product list in advance. Voopoo bring their first pod kit, called as Panda. Just like the name implies, this brand new pod kit features a cute panda alike design, which exudes a sense of intimacy. It’s composed of 1100mAh built-in battery and 5ml refillable vape pod, tiny in size but powerful in performance. The Voopoo Panda battery adopts rubber effect surface material that will give you a softer touch feeling. The Panda pod system is avalaible in two different versions, one is for nicotine salt juices and the other is for regular juices. Unlike most products with horizontal system, Panda adopts vertical juice injection system that allows more air in and thus creating a greater cloud with amazing flavor. If you are looking for a unique and portable pod kit for on the go use, this Voopoo Panda would be a nice choice. Advken CP Squonking Kit is a newly released Mechanical squonker setup, composed of the CP Mechanical Box mod and CP RDA. The CP mod is powered by single 18650 battery and features a big fire button with button lock design. It includes a 7ml e-liquid glass bottle with press filling system and e-liquid notice desgin. The CP RDA is a 22mm signle coil rebuildable bottom feed atomizer with 2ml juice capacity. It features post air-intake design, anti-splashing pin design and 810 drip tip. The 510 spring-loaded contact pin ensures a tight connection, making this RDA safe and durable to use. The CP Squonking Kit will bring you huge clouds and best vapor! Free shipping for each order over $20. Here comes the new round of our flash sale. Product list as below. Ends at 23:59PM on April 25,2018. 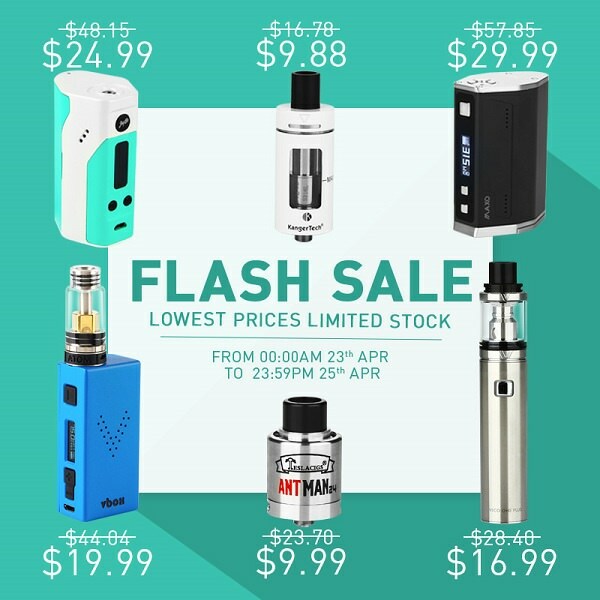 Next round of flash sale will start from 00:00AM April 26 to 23:59PM April 28. Check the product list in advance. DNA mods are quite popular in the community due to their high quality and outstanding performance even though most of them are pretty expensive. Recently Think Vape bring an upgrade version of the original Finder DNA250, utilizing the high-powered Evolv DNA 250C chip. Powered by 3 married balance high drain 18650 batteries, Finder DNA250C can fire up to 300W max power. It features waterproof onboard buttons, a TFT full-color display with real time clock function and a series of innovative functionality including wattage control, temperature protection, replay and preheat. With the Evolv’s EScribe software and theme designer software, the Think Vape Finder DNA250C allows for fully customizing all aspects of the interface and monitoring the user experience. It’s definitely a powerful and high-end device you won’t wanna miss! Joyetech bring another high quality vaporizer that firstly utilizes the AA batteries as the power, called as Batpack. It’s a stylish and simple device with tiny size and light weight. You can put in pocket and take everywhere with you. The Joyetech Batpack mod can not only use the normal AA batteries but also support the AA Ni-MH rechargeable batteries, which are all very convenient to buy in the supermarket. The Batpack features ultra efficient low voltage technology that makes your battery last longer. Together with the 2ml ECO D16 tank that adopts an integrated mouthpiece and exquisite restricted airflow, it will offer you great flavor and unforgettable vaping experience. Here comes the new round of our flash sale. Product list as below. Ends at 23:59PM on April 28,2018. 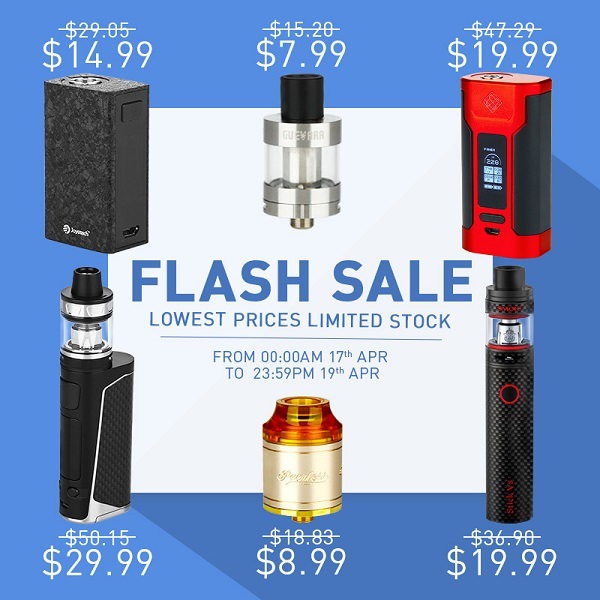 Next round of flash sale will start from 00:00AM April 29 to 23:59PM May 1. Check the product list in advance. Here come the second generation of the well-received OBS Engine rebuildable tank, namely Engine 2 RTA. It inherits all the good features of the original but comes in a 26mm larger diameter and 5ml smaller tank capacity. The Engine 2 adopts the regular two post build deck with ample building space and air direct to coil design, which offers more coil building posibilities and produces huge vapor clouds. It features patented top side filling system and precise 360 degree adjustable top airflow design that not only avoids leaking problem but also brings you better flavor. The high quality 304 stainless steel construction also make it a good piece to pick. Two classic colors for your option. Now you can preorder this OBS Engine 2 RTA at Buybest.com with free shipping for each order over $20. The International Workers’ Day is around the corner. Are you ready to enjoy a relaxed holiday and grab some nice stuff to treat yourself after a period of working? If you do, please don’t forget that Buybest are always here to provide the best deals for you. This time, we bring you a holiday sale, with 8% off site wide excluding flash sale items. The discounted prices will be displayed when the sale begins. Stay tuned! Last year the Wasp Nano really made a hit and even now many friends choose it to pair with their squonkers when considering a good BF atty, which motivate Oumier to bring their own squonker - Wasp Nano BF Mod. It’s a mechanical squonk mod with compact size and stylish appearance. Powered by one single 18650 battery, it supports a max output power of 80 watts. The Wasp Nano Squonk Kit also includes a 8ml silicone bottle that is easy to press for juice feeding. Togeter with the classic and easy to build single coil Wasp Nano RDA, this device will bring amazing flavor and enjoyable squonking experience! 8% off for this Oumier Wasp Nano Squonk Kit during our International Workers’ Day sale. Please don’t hesitate to preorder it if you like it. Here comes the new round of our flash sale. Product list as below. Ends at 23:59PM on May 4,2018. 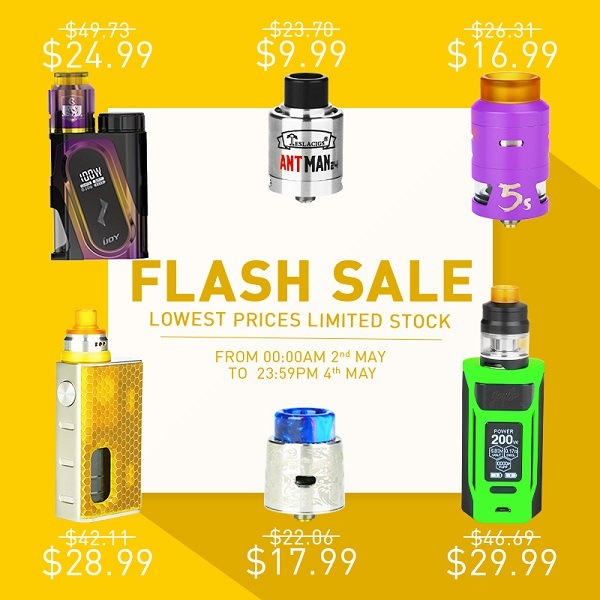 Next round of flash sale will start from 00:00AM May 5 to 23:59PM May 7. Check the product list in advance. 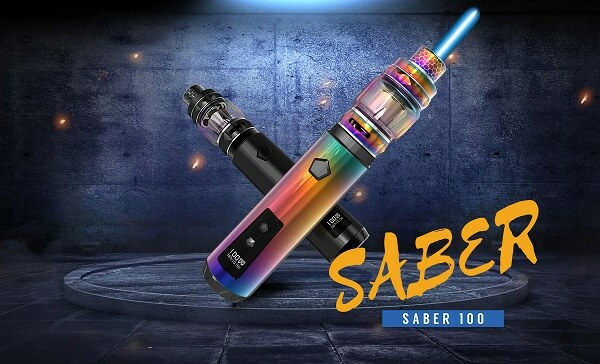 Here comes the first pen style setup from IJOY - the Saber Kit, which is composed of the well crafted Saber mod and the stylish Diamond subohm tank. Powered by a single 20700 battery, the Saber is a regulated tube mod that supports 100w max output with multiple protections. But 18650 battery can also be used through the battery adaptor. It features personalized pentagonal fire button and adjustment buttons for easy operation, a small OLED screen for data display, and ten fashionable colors for your option. Included in this Saber Kit is a 5.5ml Diamond subohm tank that is 25mm in diameter and can be changed to a 4ml tank capacity with an extra normal glass tube. It adopts the all new DM-Mesh Coil and DM-DM Coil that offer faster heating speed for huger clouds and pure flavor. Plus the stylish diamond design, fast screw-cap filling system, 810 resin drip tip, the Diamond subohm tank will definitely catch your eyes. If you are looking for a portable pen style vape setup with appealing appearance and good performance, this 100W IJOY Saber Kit is worth a try. 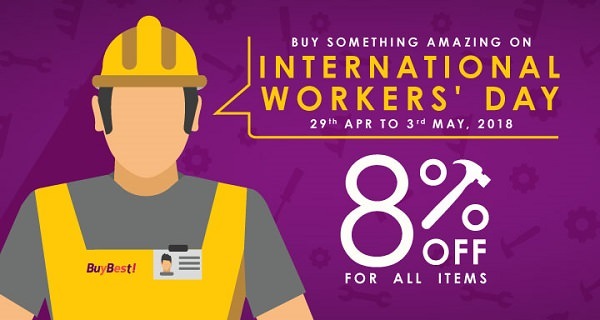 Please grab last chance to enjoy our 8% off International Workers’ Day sale. Free shipping for each order over $20. Wismec recently release another masterpiece - the CB-80 mod with Amor NS Pro tank, which is designed for high nicotine and nic-salts use by Jake Barney. 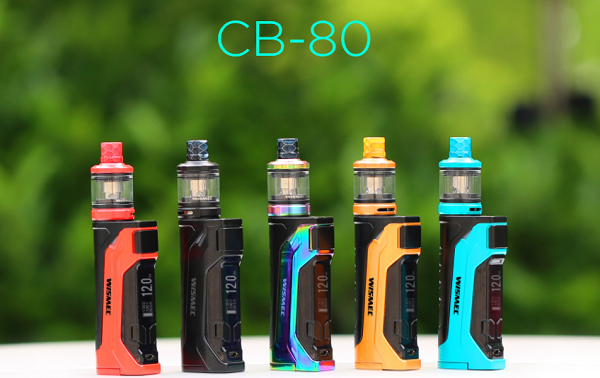 The CB-80 is a single 18650 battery mod with compact size and stylish appearance. It features 80W max output with 2A quick charge technology, a 0.9-inch screen for data display, and upgradeable firmware. The Amor NS Pro is a 2ml tank with 22mm diameter, adopting a retractable top cover design for easy refilling, honeycomb drip tips for great visual enjoyment and a refined airflow control system for nice vapor production. And with the brand-new WS04 MTL 1.3ohm head, the Amor NS Pro tank will bring you intense flavor and wonderful MTL vaping experience, especially when using high nicotine and nic-salts e-liquid. As a full kit, the Wismec CB-80 and Amor NS Pro tank will satisfy you at all points.